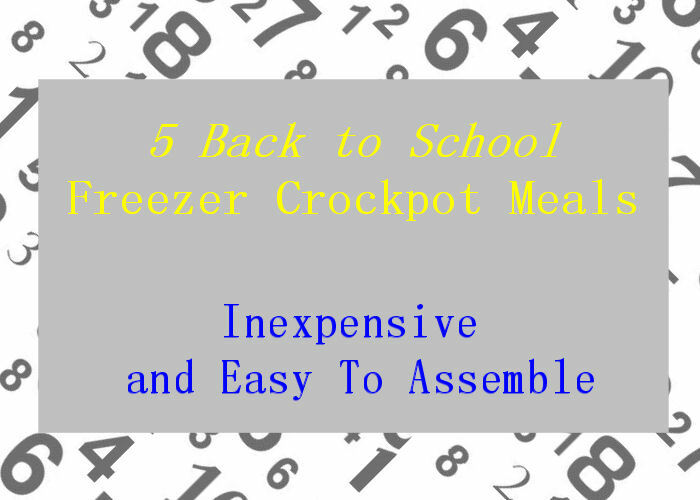 I don't really want to think about school time while it is sunny and summer outside, but I know it is important to to prepare BEFORE Back-To-School Busyness begins.Each recipe below last for three months in freezer, so you can prep for those first few months getting back into school routine. All of these recipes are easy to assemble, and no cooking involved day of prep. My friend and I made four of each of the recipes, 20 meals total with each of us taking home 10 meals. 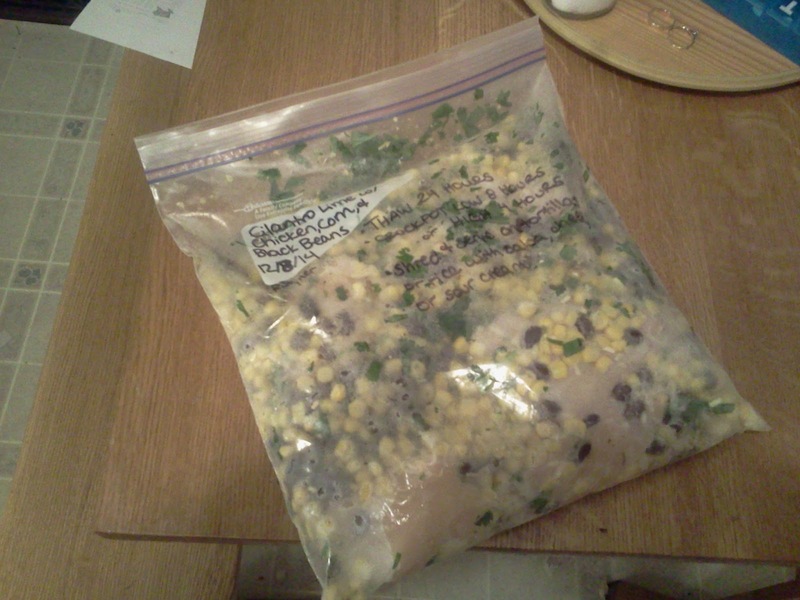 1.Label Freezer Bag with cooking directions & date. 2. Drain Pineapples into mixing bowl, set juice aside. 3. 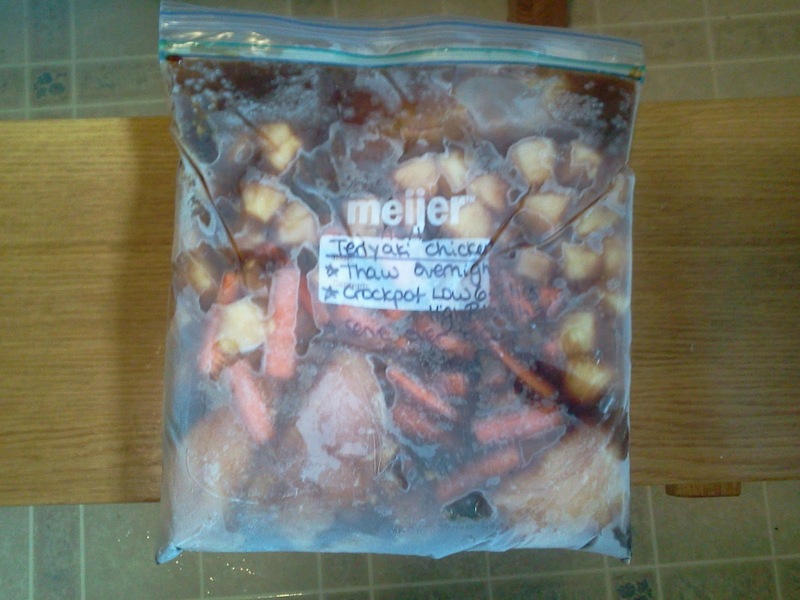 Place pineapples, carrots, pepper, and water chestnuts in bag. 4. Combine remaining ingredients in a mixing bowl with pineapple juice and pour over veggies & fruit in bag). 2. 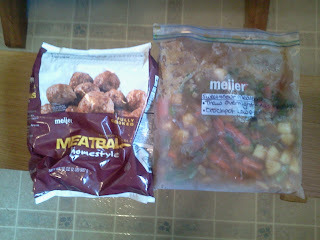 Place Frozen Meatballs (can also use chicken breasts instead) in bottom of crock pot. 3. Pour contents of bag in crock-pot. Cover and cook on low for 3 to 4 hours. 1.Label your bags with cooking directions & date. 2.Rub meat with sea salt and pepper; set aside. 3.In medium bowl, whisk together barbecue sauce, Root Beer, & seasoned salt until smooth, then add onion. 4. 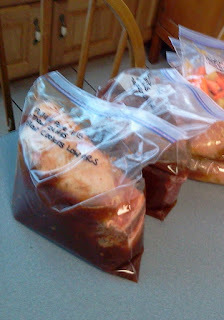 Place meat into gallon-size Ziploc bag. 2 Remove pork, Trim fat and pull meat apart with fork. 3 Serve on it's own, or on Hawaiian Rolls or Hamburger Buns. 1. Label Bag with instructions & date. 2 Cook on low in Crockpot for 8 hours. 3 Serve with rice or noodles, or mashed potatoes, and a vegetable side. 1.Label your bags with cooking directions and date. 1.When ready to eat, remove from freezer and thaw in fridge overnight. 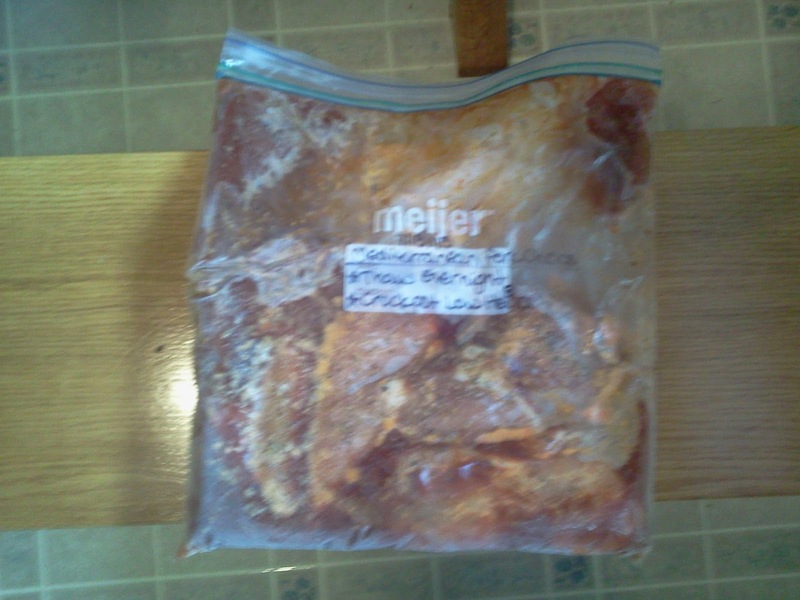 2.Put contents of bag in Crockpot, and stir in 2 Tbsp of Olive oil (optional). 3.Cook on LOW for 6 to 8 hours (or HIGH for 3 to 4 hours). 4. Shred Chicken with Fork. .Serve with tortillas and toppings such as with sour cream, guacamole, salsa, and cheese. 1. Label your bags with cooking the directions and date . 3. Add remaining ingredients to each bag. 4. Let out air, seal bag, and lay flat in freezer. Can be used within 3 months. Serve with Steamed Stir Fry vegetables & over hot rice.